Crunches are one of the simplest and easiest to follow which anyone can undertake right in the comfort of one’s home without having to hit a gym. Beginners can start with 5 crunches a day by lying on the back and with hand behind the head lift the legs and upper body to get a well toned belly. Yoga is one of the most acclaimed exercise forms to reduce fat around the belly. One can try yoga poses such as sarpasana, bhujangasana, malasana etc for obtaining a flat tummy. Yoga helps to tone the muscles around the belly which further assists in losing fat easily. All those who are short of time but still want to take up short fifteen minutes workout to reduce the belly fat can take up skipping. 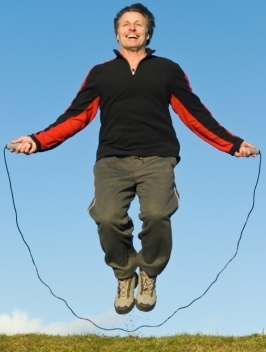 Skipping is a great cardio workout and anyone can do it without any difficulty. Skipping for five rounds of hundred skips in each set per day can help in reducing belly fat substantially. Pilates exercises are easy to follow stretching and body fitness exercise that can help any person to obtain a fab belly that is rid of all the excess fat. These exercises can be performed even by beginners who have never been introduced to any kind of activity earlier. Pilates exercises such as leg raises, lower body lifts, upper body lifts can help in enhancing muscle strength and flexibility as well. These again are easy and simple exercises that helps a person to melt down the fat around the belly. One can try variations of twisting along with brisk walking to have a better impact on the tummy muscles which help in faster reduction of fat around this region. Even though these exercises are best to help reduce the belly fat they should be undertaken according to the medical history of an individual and consultation of a health care professional to bring down chances of injury. Should I Do Single Set or Multiple Set Exercise?